Jicama is a member of the Legume family and has many common names including the yam bean, Mexican turnip or Mexican potato. The jicama has a thin paper-like outer skin that has a tan color. The inner flesh of the jicama is cream in color and has a crisp texture. 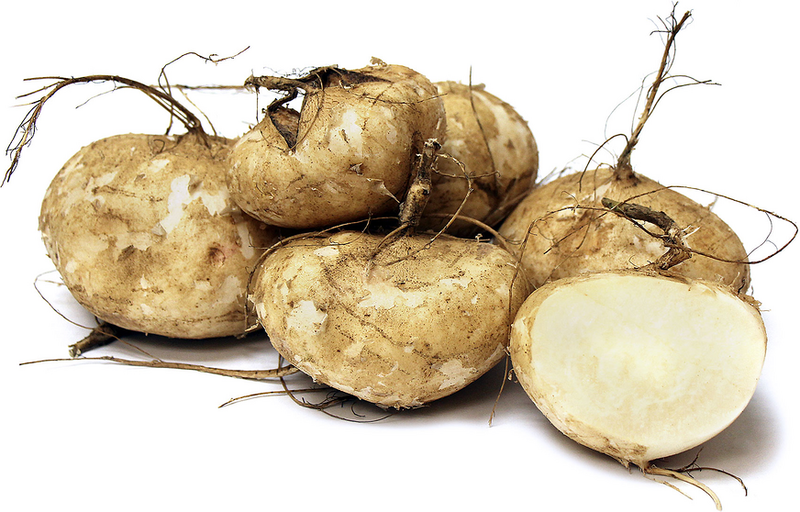 Jicama offers a mildly sweet flavor with nut-like undertones. Jicama is available typically year-round.